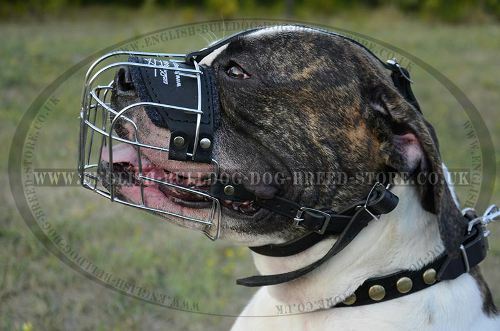 Basket dog muzzle is one of the best dog muzzles for American Bulldog daily activities. It`s a universal dog muzzle for daily walking your Bulldog in any weather, vet visiting, public places attending and dog transporting. 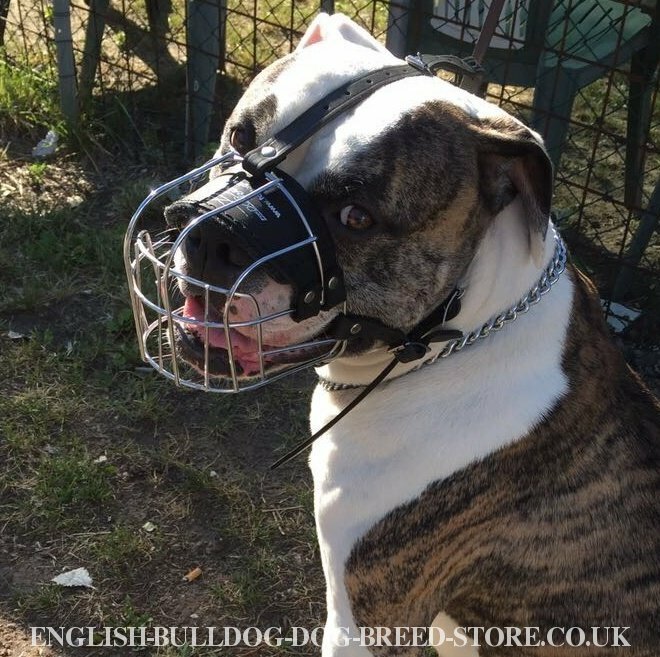 This Bulldog muzzle is perfectly ventilated, very comfortable, usable and absolutely safe for your Bulldog. Moreover, the basket muzzle has light weight and robust design. Be sure, your American Bulldog will feel comfort with this wire dog muzzle! 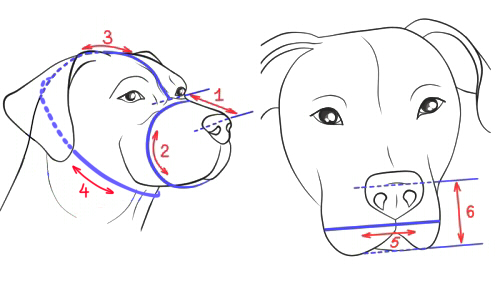 Find more detailed description of Bulldog sizing with pictures here. This basket dog muzzle is made of stainless steel smooth and rustproof wire. The straps are made of strong and soft leather. The muzzle is very strong so it won`t lose its shape with time. The nose area of the basket muzzle is felt padded for maximum comfort of your Bulldog and to avoid rubbing. The wire dog muzzle allows Bulldog to breathe, pant, drink water, but prevents biting, picking up/eating from the ground. 1. Just wanted to thank you for the fast service you provided. It was extremely difficult to find a muzzle that fits my dog, and I didn't have time to have one specially made. Thanks to the details and measurements you provided on your site, I found one that fits. And it arrived in time for our trip to the vet. Thanks! 2. Dear Sirs and Mesdames! The parcel has been safely shipped today. Everything looks very nice. A great big thank you. Sincerely yours. I'm very pleased with the muzzle. It's only one small detail. It should be more opportunities of regulation because I had made measurements with a little spare. As for the rest, well done! Ladies and Gentleman, the muzzle I had ordered was delivered. Thank you. Regards. Good evening, I am very pleased with the muzzle. This is an excellent product of high quality in regards to the materials used and reliability. I attach a photo of my 3.5 years old American Bulldog Dux with pleasure.